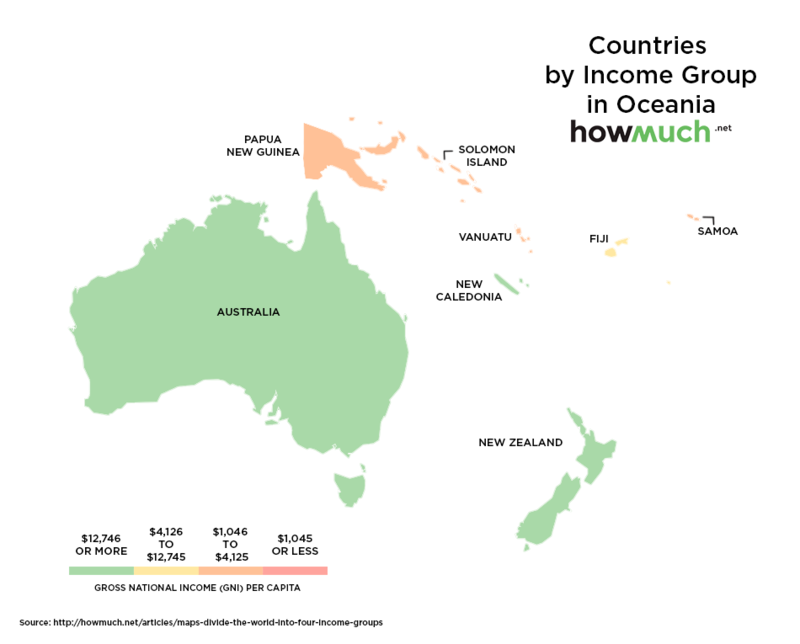 Scooper - Technology News: Which of the world's four income groups are you in? Which of the world's four income groups are you in? 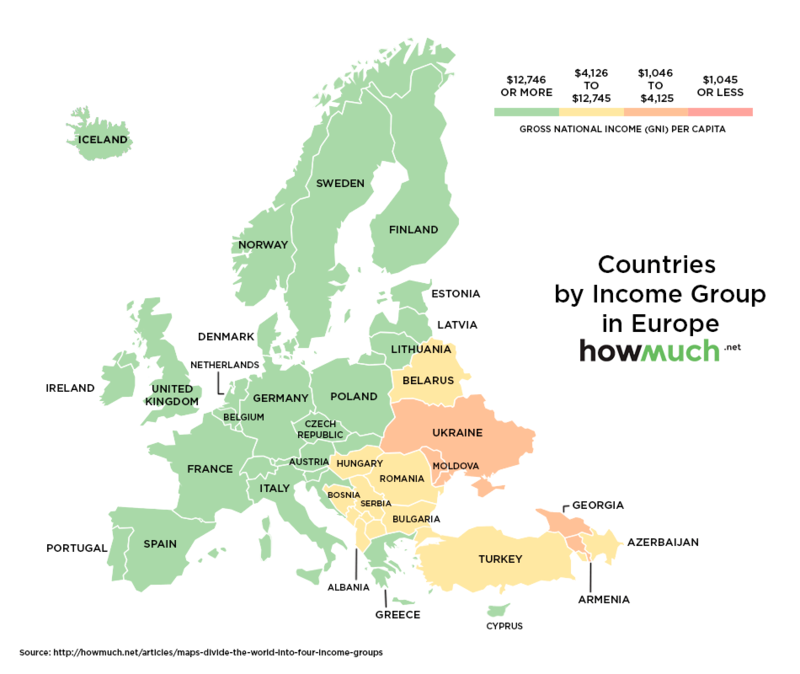 Have you ever wondered how average incomes differ around the world? To answer this question, Global Finance Magazine used World Bank data and compared countries by GNI per capita – the final income (in dollars) earned by residents, divided by the total population. 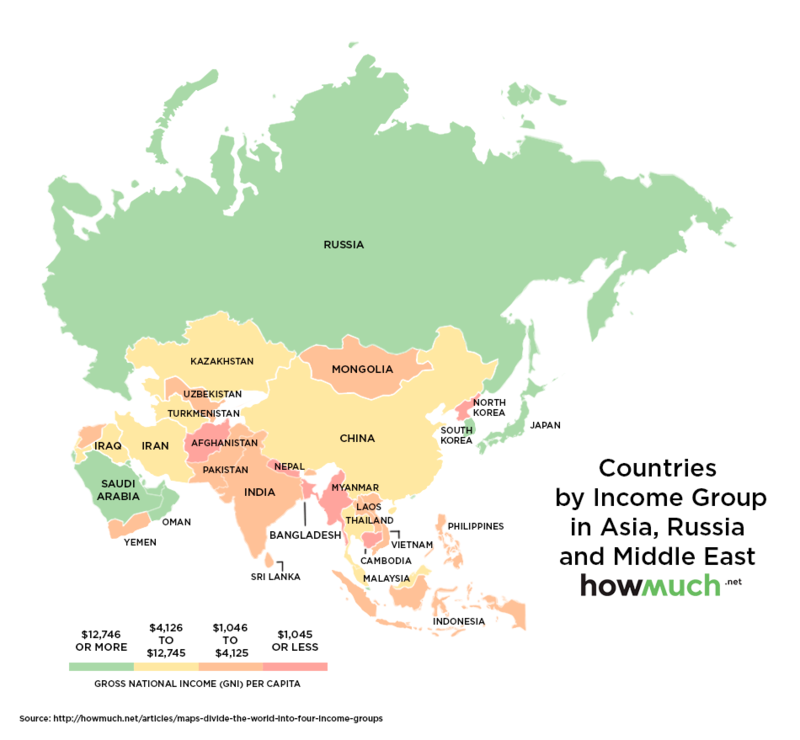 Each year, the World Bank classifies countries into four income groups, based on this calculation. How Much , a cost information website, mapped this data to show the situation around the world. In the following maps, high-income countries are shown in green, upper middle in yellow, lower middle in orange and low income in dark orange. 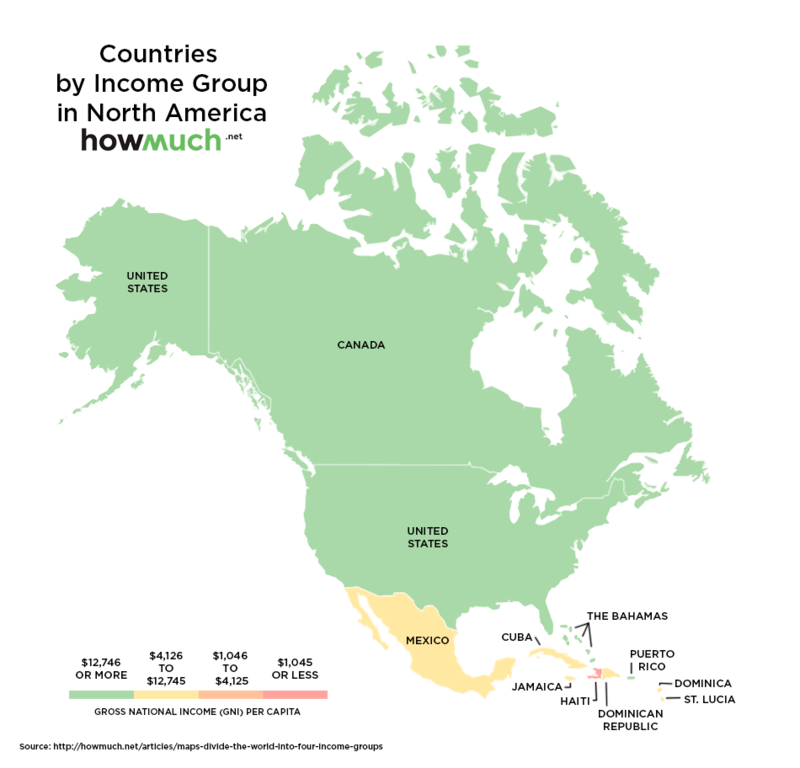 North and Central American nations sit mainly in the top two income categories, reflecting the relatively high incomes seen in this part of the world. As with North America, most of Europe sits in the top two income groups. There is, however, a very clear divide between Western Europe and those countries further east. Asia and the Middle East present a much more mixed picture, with countries from all income groups represented in the map. The use of GNI per capita also highlights other interesting patterns. For example, while China might be one of the largest economies in the world, with a GDP of over $10 trillion in 2014 , its huge population means it ends up only in the second highest group when measured by GNI. The regional powerhouses of Australia and New Zealand both sit in the top group. However, the rest of the region sees much lower average incomes. Africa is dominated by economies in the low and middle-income groups, with just Equatorial Guinea making the high-income group. 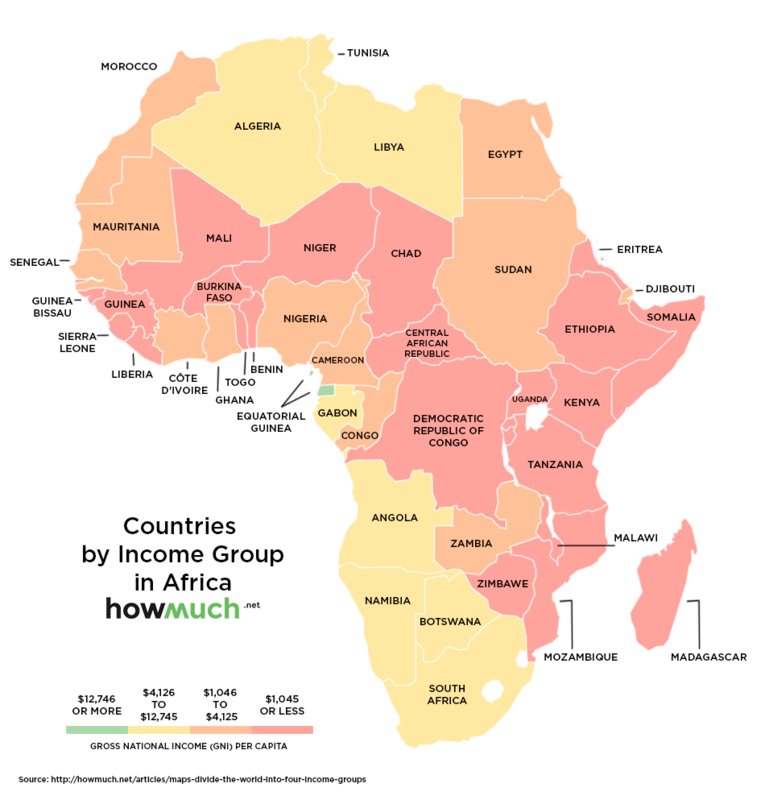 The work still needed to raise incomes in Africa, relative to the rest of the world, is obvious from this map. 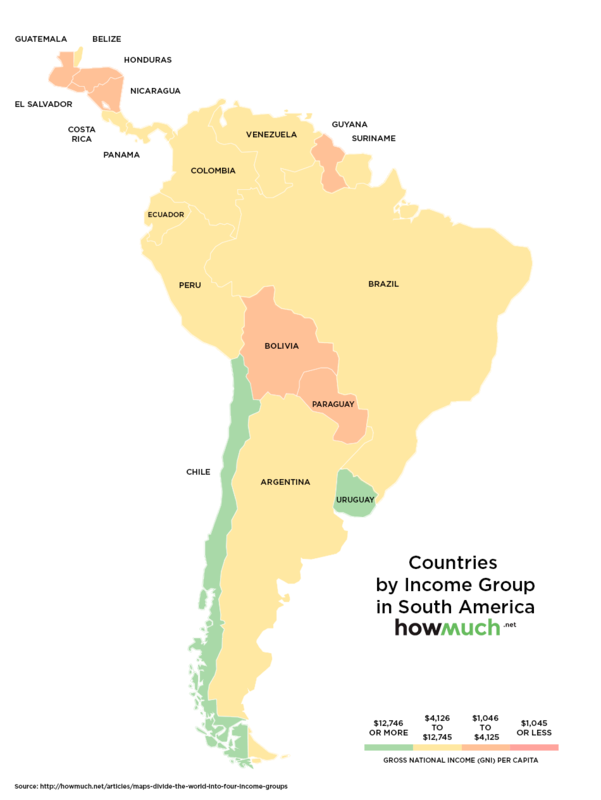 Most South and Central American countries sit in the upper-middle income group. However, both high-income and lower-middle income countries are also present on the continent.